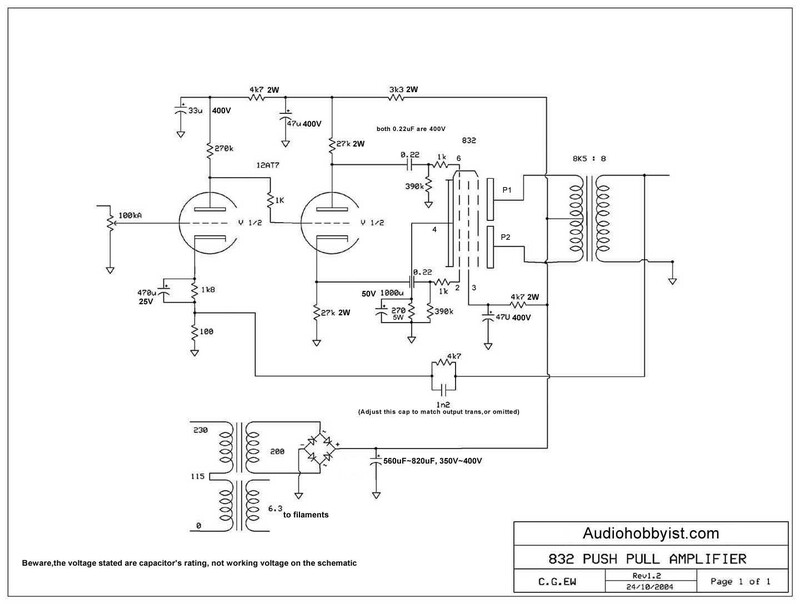 From DIYaudio I was recommended to use a hybrid rectifier to bring down the voltage the required 23V. This is a combination of solid state and tube diodes. Here is an example of such a circuit in a 300B amp Introducing a tube rectifier in the circuit has the added benefit of delaying power up on B+ so the tubes have a chance to heat. I have researched several rectifier tubes and have found the following may be suitable: 6AU4-GTA drops 25 volts, 5V4-GA drops 25 Volts, and 6CJ3 drops 25 volts. However there are a couple of problems with this. The existing filter capacitor is very large (800uF). With a rectifier tube I have to build a pi filter. The first capacitor should be to about 50-100uF, then a choke of 2-3 Henries and I could keep the old 800uF capacitor I have chosen. This strategy gives me the reduction in voltage from the rectifier tube. However the Pi filter with the choke is potentially quick reacting, and should not need such a big second capacitor since this capacitor essentially acts as a reserve power supply that can take care of transients when the transformer and damping circuit is not able to follow up. So this leads me to the second idea. What if I use a inrush resistor in stead?